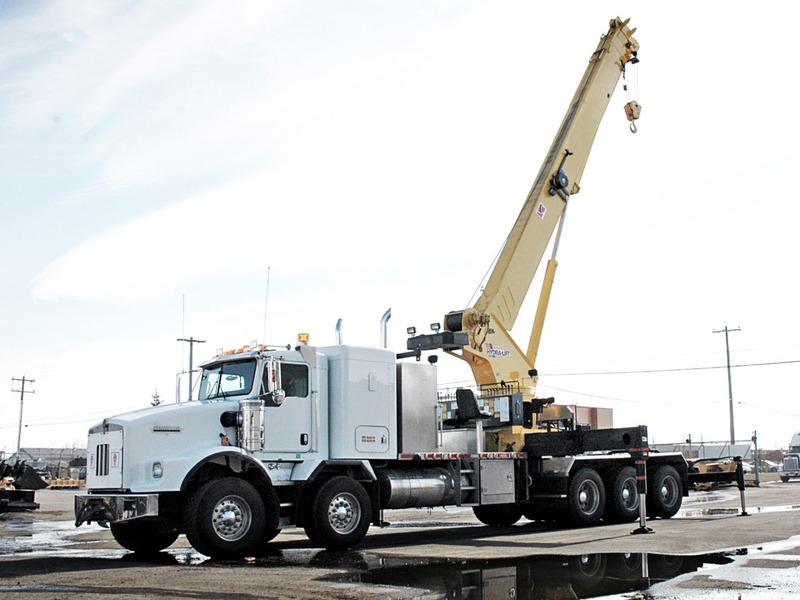 The Weldco Hydra-Lift 30-ton WHL35TC97 crane is a natural evolution of our popular 30-ton cranes. 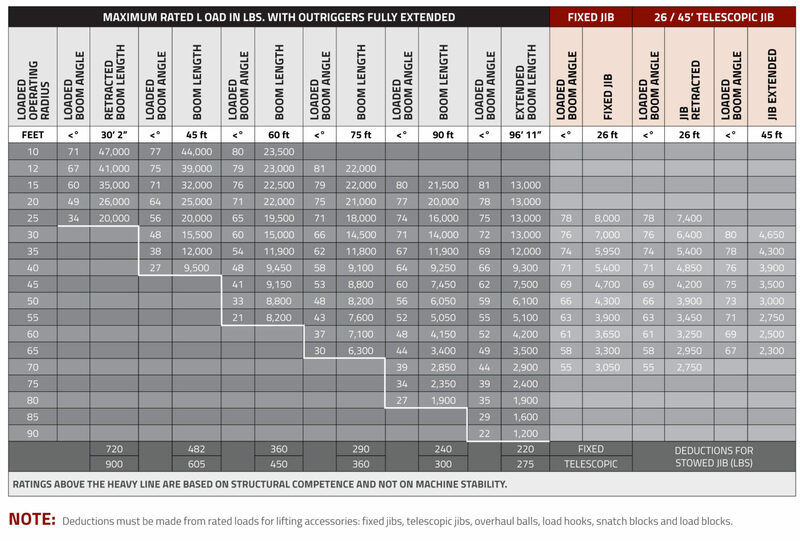 Higher lifting capacity and longer reach are obvious benefits of this new design. 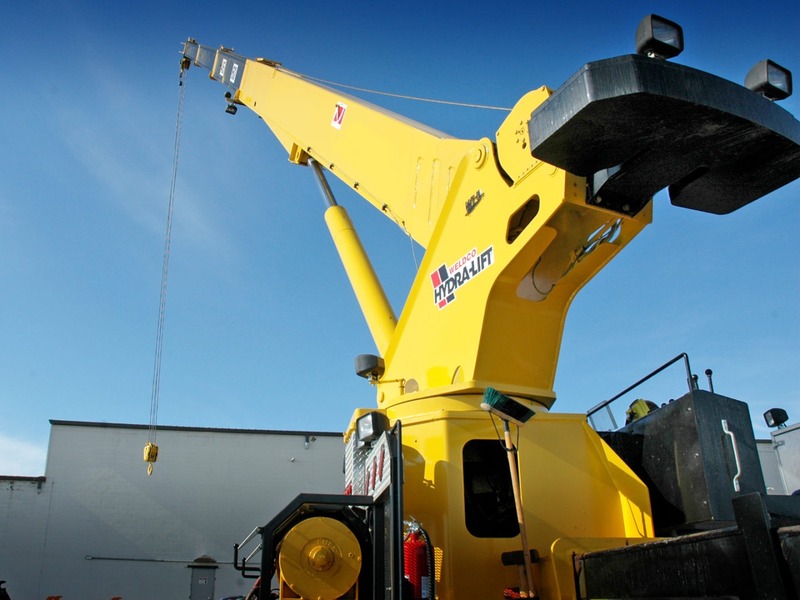 The versatility of integrated out and down outriggers allows for crane set-up in space restricted areas. 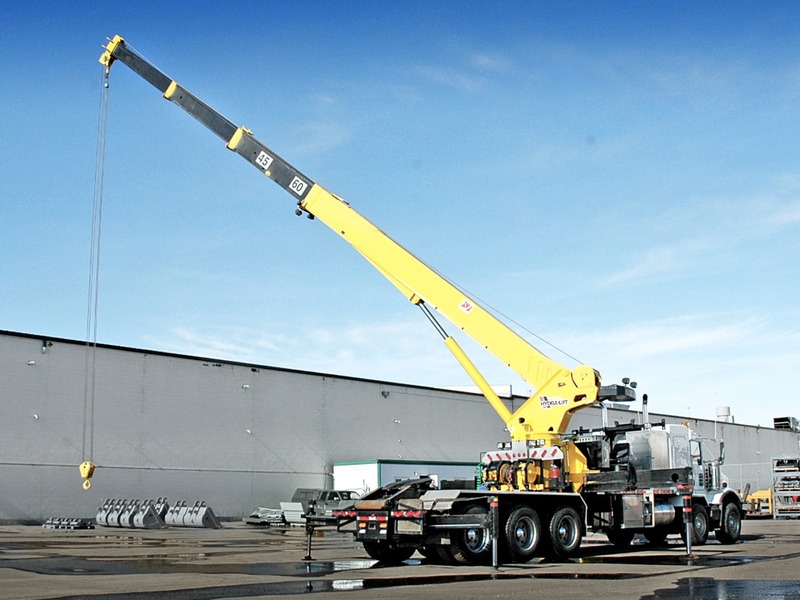 These cranes have a wider total spread than other outrigger styles, and a dual control station design means the crane can be operated from either side. 15,000 lb, 2 speed grooved drum planetary winch with integral brake, includes cable packer.